Robert HISSEY was born 1 in 1608 in Hinton Waldrist, Berkshire, England. He was christened 2 on 6 Nov 1608 in Church of England Parish Church of Hinton-Waldrist (Berkshire). He died 3 in 1669. He married 4 Anish MAY in 1633. Although I have now proven that Robert Hissey was NOT our ancestor, his information and ancestral lines are still included in these pages for the benefit of other researchers, including many of his descendants whom I am in contact with who would welcome contact with other researchers and whom I am only too happy to refer other researchers or descendants to. My late cousin Grace DOUGLAS advised Robert's spouse's maiden name was Anish. According to Robert's Will made in 1658 he lived at Draycott Moor in the Parish of Longworth, his brothers were Edward and Richard, and his children were John, Sisley, Joan, Robert and Thomas. After a number of bequests to his other children, Robert left his eldest son John 'all the rest of my goods movable and immovable, whom I make my whole and sole executor'. Hinton Waldrist & Duxford is a Saxon word meaning a homestead or village on high ground, and 'Waldrist'is apparently a corruption of 'St. Valery' the family name of those who held the Manor in the 13th century. This interestingly named village lies just off the A420, the Faringdon to Oxford Road, set in flat farm lands. Hinton Waldrist's history goes back a long way. The church, dedicated to St. Margaret of Antioch in Pisidia, probably dates from the 13th century. Margaret of Antioch was most popular as a saint in the Middle Ages. Hinton Manor was built on the site of an older house, some signs of a moat still being there. In 1627, the owner was Sir Henry Marten who committed regicide by being one of the signatories of Charles I's death warrant and in 1655 the manor became the property of Oliver Cromwell as the Lord Protector. Tradition states that Cromwell and his men were stationed at Hinton Manor for a while, during the Civil War. This part of Berkshire was greatly fought over. Indeed, cannonballs and weapons have been found here to back up the local belief. Hinton Waldrist was a great hunting village throughout the 18th century. The Loders lived at the Manor from 1658 and one of their family members, John Loder, was a founder Member and Master of the Berkshire Hunt in the late 1700s. In 1805 John Loder's son-in-law sold the hounds so the village was no longer the headquarters of the Old Berkshire Hunt. The Manor and The Grange, both owned by the Davenport family, are among several attractive stone houses at Hinton Waldrist. During Queen Victoria's celebrations in 1887, a dinner was held for villagers in The Grange barn. The word �Jubilee� was painted on a stone in the barn to commemorate the occasion and three Wellingtonias, also known as giant redwoods, were planted at the entrance to the Manor. The village also has a number of lovely thatched cottages. However, it has never had a public house, somewhat unusual in a country of ancient inns and old ale houses, but Lady Page donated a hall in the early 1920s. This comfortable centre became the focal point of village life, a meeting place where most local activities could take place. There is no longer a school in this rural parish. By the 1970s, when the population was about 300, the local children were being bussed to what was then a new school in neighbouring Longworth. Duxford, a tiny hamlet which is part of the parish of Hinton Waldrist, claims to have links to Willliam the Conqueror. The locals say William chose to march his armies across the ford over the River Dux after the Battle of Hastings, but other Berkshire fords also make this claim. Duxford definitely had its own witch, though. There are Victorian legends to prove it! She seems to have been rather amicable with a great sense of the ridiculous. The story goes that when asked for help concerning horses refusing to budge when pulling a lady's hearse, she suggested two 'milk-white martens' would be better suited for the task. The only thing wicked about the Witch of Duxford seems to have been her sense of humour! HINTON-WALDRIDGE, (or Waldrist). The village, which is now an insignificant place, was anciently a market town, under the St. Valerys, to whom the manor belonged. The land is chiefly arable, and from the higher grounds are extensive views, embracing Blenheim and Witney. There are quarries of good freestone for building purposes. Near Windmill Hill is an old camp. The church, dedicated to St. Margaret, is an ancient structure. There is a National school. Anish MAY was born about 1610 in said to be of Hincksey, England. Although our line does NOT descend from their son Robert (as originally thought) who was baptised at Hinton Waldrist on 11th of November 1608. Although I have now proven that Robert Hissey was NOT our ancestor, his information and ancestral lines are still included in these pages for the benefit of other researchers, including many of his descendants whom I am in contact with who would welcome contact with other researchers and whom I am only too happy to refer other researchers or descendants to. Anthony HISSEY file sent by Joanne Goodsell has Ann MAY with notes : Said to be of Hincksey. John COULDRAY was born about 1600 in of Longworth, Berkshire, England. Possibly descendend from John Coudray, son of Edward Coudray (birth abt 1420. Died 1464), son of Peter (born abt 1382)..
son of Edward Coudray (born abt 1340), son of Peter Couldray (born abt.1307), son of Ralph (abt 1275), son of Peter (abt 1425. Death after 1297) and Agnes de SACY; son of Fulk Couldray (birth abt 1226), Death 1251. The larger and more important of the two Manors contained within the Parish of Padworth, sometimes distinguished by the name of Coudray's Manor.. is recorded in Domesday Book. The earliest mention by name of the Coudray family is in ...a Deed of Grant by which Fulk de Coudray transferred the Manors of Sherborne Coudray, now known as the Vyne, and that of Padworth to Maud de Herriard and Nicholas her son ... The two families were connected as Fulk de Coudray's mother had married as her second husband Roger, a son of the Maud here mentioned. Among the witnesses of the Deed are Robert de Offington (Ufton) and Henry de la Huesse or Hoese (who must have been of the family of the smaller Manor of Padworth). Robert de Offington is known to have been living in 1240, which gives us a clue to the date of this transaction......Fulk de Coudray died in 1251. Although I have now proven that Henry Marten was NOT our ancestor, his story and ancestral lines are still included in these pages for the benefit of other researchers, including many of his descendants whom I am in contact with who would welcome contact with other researchers and whom I am only too happy to refer other researchers or descendants to. Henry Marten was the father of Rebecca Marten, who married Moses Couldry. Moses and Rebecca's daughter Mary married John Hissey and lived in Longworth in Berkshire, England. Henry Marten 'The Regicide' (1602-1680) a very prominent figure during the Civil War, was one of the 59 signatories of King Charles I death warrant in 1649. Born in 1602 opposite Merton College Church at Oxford, Oxfordshire, England, he was the son of Sir Henry Marten Senior of Longworth & Hinton Waldrist (Berkshire). He died on 9th September 1680 at Chepstow Castle, Monmouthshire. His father Henry Marten Senior, was a Judge of the Admiralty Court and distinguished civil lawyer. In all biographies, including The National Biographical Index there is a mix up over his wives. He actually married twice. His first wife was Elizabeth Lovelace, daughter of Sir Richard. They had three daughters before Elizabeth died in childbirth, or shortly afterwards. In 1635 he married Margaret Stanton, a widow (daughter of Francis WEST and Alice CHENEY) and by her had 1 son and 4 daughters, the youngest of which was apparently Rebecca. It is thought the WEST's came from Oulton in Yorkshire in the mid to late 1500s. They were grocers and 'silk men' in London in the early 1600s. Rebecca Marten is said to have been born in Shrivenham, one of Berkshire's most westerly villages. The original parts of Shrivenham's parish church are 12th century but there are also 17th century additions. King Henry I granted the church to Cirencester Abbey and the 17th century buildings were given by his father Sir Henry Marten of Longworth, priced at �4,000, who also built the 10 almshouses, which are still lived in even now, and who was a great benefactor to the area. However, the Shrivenham, Berkshire Parish Records for the period 1575 to 1732 show the baptisms of his children Anne, Francis and Henry, but not Rebecca. It is likely that Henry moved from Shrivenham to Longworth soon after the death of his father in 1641, as he and Margaret married in 1635 and the other children were born at Shrivenham between 1636 and 1640. It is likely that Rebecca was born during the Civil War and the records have been lost. There was quite a lot of fighting near Oxford, which is only a few miles from Longworth and for a while Charles II's headquarters were in Oxford. There was even thought to have been a battle near Harrowdown Hill. It is quite likely, being who they were, that Margaret and the children moved somewhere safer for a while, and Rebecca was born at that time. Henry and Margaret did not get along and he also had three daughters by his mistress Mary Ward. Henry and Mary's daughters were named Peggy, Sarah (known as Poppet) and Henrietta (called Bacon-Hog). From 1627-1653 'Hinton Manor' was the home of Henry Marten. As a public man he first became prominent in 1639 when he refused to contribute to a general loan, and in 1640 he entered parliament as one of the members for Berkshire. Henry was a hater of the Court, and had developed, when few thought of overthrowing the Monarchy at the very beginning of the Civil War, into a red-hot republican. Elected to the Short and Long Parliaments as MP for Berkshire, where he came to be known both for his radical republican views and for his witty quips and jokes, he was made Governor of Reading and his keen wit, his plainness of speech and his courageous honesty soon made him a conspicuous man in Parliament. When the Civil War broke out, he publicly tore up the King's Commission of Array (a document which stated the deployment of troops in the area) and subscribed �1200 to the parliamentary cause, undertaking to raise a regiment of horses to fight the Royalists. He spoke against the Scottish alliance of 1643 and the imposition of the Solemn League and Covenant, and was highly critical of the Presbyterians. As early as 1643, he advocated the destruction of the Royal family, an expression of opinion, which shocked the political feeling of the House of Commons as deeply as his loose life shocked its Puritanical conscience. He was Imprisoned in the Tower for fourteen days in 1643 and excluded from Parliament for three years but, when readmitted in 1646, he proclaimed his extreme views as boldly as ever. When the Levellers arose, he became one of their leaders and, being among the fiercest advocates of the King's execution, he was, of course, a signatory to King Charles I death warrant and played a leading role in the King's trial, helping to draft the charges against him. Later Henry argued with Cromwell, opposing the dissolution of the Rump in 1653 and came to regard Cromwell as a threat to the establishment of a permanent English Republic. Under the Commonwealth, he played a prominent part, but his loose morals, his distrust of Cromwell's designs and his lack of practical ability debarred him from obtaining any great influence. Henry Marten had inherited vast estates of Manors on the Thames and properties in Oxford and London. However his impending insolvency would see rents unpaid since 1647 at Eynsham, Oxford, Longworth, Beckett, Eaton Hastings, Buckland and Ashbury. His Berkshire Estate 'Beckett House' was ransacked by royalists in 1648. He was awarded by the state in an Act of Parliament for his expenditure during the civil war with the manor of Hartington in Derbyshire in 1649, and with Leominster Foreign, Hertfordshire (now Leominster priory). This second estate amounted to nearly 10,000 acres. By 1650 Marten had purchased 'Derby House' in Chancel Row, London, where he now resided, however by the end of 1653 Marten's political career was in ruins and finally, in 1655, his profligacy culminated in bankruptcy. He was outlawed, and vanished from public life until the Long Parliament reassembled. His brother George's debts contributed to the collapse of Henry's political career. During the 1620s and 1630s, Henry Marten was the owner of a merchant ship, called the 'Marten'. Henry offered the vessel to the service of England, and had installed his younger brother George, as the 'Marten's Captain during 1640/41. The 'Marten' was employed by parliament for six months from Apr to Sept 1642. However still Henry could not cover his costs. In the mid 1650s, after his release from the Upper Bench prison, Henry and his mistress Mary Ward lived at the Southwark house of Mary's sister, Frances. By early 1656 Marten's debts tied him to the Rules of Southwark. On 1 Mar 1657/8 the constables of St.George's Parish, Southwark asked him to pay them for watching him for fifteen nights and he was still at the Rules on May 5th, 1657 when his brother George wrote to him from Barbados, asking him to help George's daughter Susan to go out to him. On 30 July 1657 Henry granted his mistress Mary Ward over 700 acres of his land at Hartington, which included 'Fern House' near Buxton. By Dec 1658 Marten's tenants of his Derbyshire estate were paying their rents to Mr. Savile who was purchasing the Hartington, Derbyshire estate. Henry was desperate to be released from Southwark and on 1st March 1659 he offered the manor of 'Hartington' in Derbyshire for sale. 'The regicides' were named as 'Traitors to his late Majesty' and on 9th October 1660 were formally indicted at Hicks Hall, the sessions-house of the Middlesex justices. The following day the prisoners were taken to Newgate Prison and from there to the Old Bailey. Having failed to avert the Restoration, he refused to fly from it. At his trial at the Old Bailey on 16th October, Henry renounced none of his principles, but answered the judges '...it is circumstantiated' and the judge agreed that 'all Actions are circumstantiated..but the killing of the King is Treason of all Treasons'. The jury found all prisoners guilty. Ten men were condemned to death, and were hanged, drawn and quartered. The rest were sent to the Tower to await Parliament's decision about their execution. His estates were seized on 28th November, but in any case they were mortgaged to the extent of 30,000 pounds. His financial affairs were in chaos and some of the property was apparently acquired by Lord Lovelace, who had gone surety for him. John Loder had bought Henry's manor of 'Hinton' in 1658 and his friend John Wildman purchased the 'Beckett Manor' and farm in May 1657. On 20th February 1661 Henry appeared before the House of Lords and it is here, Ivor Waters wrote that it was 'concluded in the end, he should rot out the remainder of his life in the gaol.' Elsewhere it is written that 'Marten of whom it has been said, was a good-humoured man, whose kindness to Royalists during the Commonwealth years probably helped save him from a death sentence at the Restoration. Though condemned to death, the King spared his life'. Imprisoned in the Tower Henry's daughters sometimes visited him, but not his wife 'the Old Woman at Longworth'. Three of his daughters, Anne, Jane and Rebecca, lived at Longworth with their mother. His daughter Frances was married to William Pryor of Longworth and his daugther Elizabeth married George Spyller, who is mentioned in one of Henry's letters as being 'sworn a Privy-chamber man extraordinary, which is worth little to him more than the protecting from arrests'. Mary, who was called by her father affectionately 'Mall' was married to Thomas Parker, who later became the 2nd Lord Morley and Mounteagle. These two were his favourites. His only son Henry or Hal, was a young man of twenty at the time of the arrest; and lived an uneventful life at Longworth, where he became a Church Warden in 1681. The Royalists claimed Harry had numerous mistresses, and on 14 Feb 1651 a paternity claim was made by Ann Caitline. However, he had long regarded his mistress Mary Ward as his wife and given her the name of Marten. They had three children, Peggy, Sarah (known as Poppet) and the baby Henrietta (called Bacon-Hog). At the time of the baby's birth Henry wrote that he had Sarah in the Tower with him. As early as 1649 Mary was recognised in social circles as his mistress and used the name Mrs. Mary Marten. In that year Mary Ward attended a party with Henry held by Heert, the Spanish amabassador and had a house in Westminster. Although a leading Puritan, Marten was a man of loose morals. He wrote and published several pamphlets, and in 1662 there appeared Henry Marten's Familiar Letters to his Lady of Delight, which contained letters to his mistress, Mary Ward. Transported from the Tower after 25 Jul 1662 he was imprisoned shortly at Berwick until being transferred to Windsor Castle after the issue of a warrant dated 19 May 1665. A subsequent warrant was issued on 7th Dec 1668 to have Marten conveyed to Chepstow and Henry Marten spent the remainder of his long life imprisoned at Chepstow Castle until his death in 1680. Aphra Benn, the first female playwright wrote a play called The Marten Brothers, about Henry and his brother George. Refer Sources : 'Marten and the Long Parliment - The Prisoner of Chepstow Castle' by Ivor Waters (1976) ISBN 0-900278-18-8 IGI Shrivenham Parish Extracted Records Batch. : Dates: Source Call No. : C021772 1575 - 1732 0088437 Film 6900135 'A Revolutionary Rogue - Henry Marten and The English Republic' by Sarah Barber : 2000 - ISBN 0-7509-2304-0 'A shepherd came from Buttermere ' Written by Rayleen Krause Hissey is mentioned throughout 'Longworth Through the Centuries ' by Jasmine Susan Howse, published by the Longworth History Society (1982 published) LHS reprinted 1997 . "Longworth through the Ages" by Jasmine Howse. Hissey is mentioned throughout. possibly titled 'Longworth Through the Centuries ' by Jasmine Susan Howse . No Marriage on IGI for Henry MARTEN to Margaret STAUNTON. Although I have now proven that Margaret Staunton was NOT our ancestor, her information and ancestral lines are still included in these pages for the benefit of other researchers, including many of his descendants whom I am in contact with who would welcome contact with other researchers and whom I am only too happy to refer other researchers or descendants to. Henry's second wife Margaret Staunton was the daughter of Francis West and Alice Cheney. (Ref Boyd's Inhabitants of London, and Francis West's Will (probate 11/143) Francis West was a grocer (Merchant?). Margaret and Henry were married on 5th April 1635. I have not found a record of this marriage but in a dispute regarding her daughter by William Staunton (PRO Ref. SP 16/340) that is the date given for her marriage to Henry. 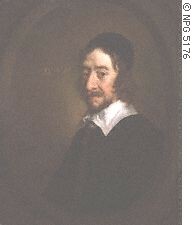 It is likely that Henry moved from Shrivenham to Longworth soon after the death of his father in 1641. As he and Margaret married in 1635 and the other children were born in at Shrivenham between 1636 and 1640. It is likely that Rebecca was born during the Civil War and the records have been lost. There was quite a lot of fighting near Oxford, which is only a few miles from Longworth and for a while Charles ll 's headquarters were in Oxford. There was even thought to have been a battle near Harrowdown Hill. It is quite likely, being who they were, that Margaret and the children moved somewhere safer for a while, and Rebecca was born at that time. A copy of the inventory of Margaret's belongings when she died, which make sad reading are stated in the book 'Longworth Through the Centuries ' by Jasmine Susan Howse, published by the Longworth History Society (1982 published) LHS reprinted 1997. There was a court case about the contents of the house after her death. Lauris Ashton advised in 2005 "In trying to prove that the Rebecca Marten who married Moses Couldry was the daughter of Henry Marten I looked at the parish registers for Hurley which was the seat of the Lovelace family. It was there that I discovered that Henry's first wife was Elizabeth Lovelace. She died in 1634 after producing 3 daughters and the next year in April 1635 Henry married Margaret Staunton, widow of William Staunton, and the daughter of Francis West. and in the State Papers at the PRO (now the National Archives) I found mention of a court case involving Margaret the daughter of William Staunton, which mentions her mother as now being the wife of Henry Marten. I also found William Staunton's will and an entry in Boyd's Inhabitants of London which proves that she was the daughter of Francis West. Apparently the WEST's came from Oulton in Yorkshire in the mid to late 1500s. They were grocers and 'silk men' in London in the early 1600s. Margaret was discribed as being 'distempered'. However, she may simply have suffered from post natal depression. In 1647 Henry put their daughter Ann in charge of the household. Lauris Ashton advised that Ann died before her parents and on Margaret's death, a few month's after Henry's this led to a dispute over the posessions in the house at Longworth. Rebecca is mentioned along with the other children as a witness to who owned what. Margaret went to live in the Marten house, Longworth Lodge, after the destruction of Beckett House, Shrivenham and its sale to Pratt and Wildman. She died shortly before Henry in 1680. Their unmarried daughter Anne MARTEN was her mother's houskeeper and Sarah Barber writes that Anne died the following year. Jane MERTEN b: 1638 and Rebecca MERTEN b: 28 Jan 1637/38 in Shrivenham ?? 3184. Bartholomew MINTER was born 1 about 1645 in Folkestone, Kent, England. He married 2, 3 Susanna BAYLY on 25 Apr 1669 in Folkestone, Kent, England. Bartholmew MINTER and Susanna (nee BAYLY) had eight children all baptised in Folkestone, Kent, England : Ann (1670), Michael (1672) our direct ancestor married married Sarah MARSH, sister of Leonard's wife Dorothy. Susan (1675), Leonard (1677) married Dorothy MARSH (daughter of our ancestors Laurence and Joane MARSH), Elizabeth (1679), Susann (1683), John (1685) who married Jane BROWN, William (1689). Dorothy (and possibly Sarah MARSH) were also the grandaughters of our ancestor John ALLARD aka ALLORDE). The grandchildren of Leonard MINTER & Dorothy MARSH are all descended from my ALLORDE, BAYLY, MINTER & MARSH ancestral lines. However Roderick Craig (in Alsace, France) advised 'Sarah Marsh, the wife of Michael Minter, seems to show that she was not the daughter of Lawrence Marsh of Folkestone. Apparently, she was the neice of Joseph Marsh, yeoman of Lyminge and daughter of a John Marsh. Interestingly, Joseph was also the father of Elizabeth Marsh, who married Thomas Bayly of Folkestone, the direct ancestors of Penny Hiatt. Mackie, S. J. A Descriptive and Historical Account of Folkestone and its Neighbourhood with Gleanings from the Municipal Records, Reprinted from the �Folkestone Express�. 2nd edition. Folkestone, Kent, England: Printed and Published by J. English, 1883.
p. 266: "On the next page, but dated a year later," (note--5th year of King Edward VI reign) "we light for the first time upon a well known Folkestone name, and one which has been perpetuated to our own times--that of Minter. It is an entry recording a transaction between John Mynter, fisherman, Thomas Wood, fisherman, and Thomas Lambard, 'bere bruor,' one signature presenting the appearance of the handle and beater of a churn and the other that of an hour glass--both unique specimens of early Folkestone caligraphy." Susanna BAYLY was the daughter of Michael and Ann BAYLY. She was the eldest of six children and had siblings, Mary (1648), Ann (1651) Michael (1655) who died as an infant and was buried on 10 Jan 1656, Thomas (1656-1715) and Stephen (1659). Sladden Thomas, Marshe Laurence, Tower John. Laurence and Joane had four children all baptised in Folkestone, Kent, England : Robert (1673), Joane (1675), Dorothy (1677) married Leonard MINTER (son of Bartholmew MINTER and Susanna BAYLY, who are also our direct ancestors, being the parents of Michael and possible in-laws of the youngest child of this family) - Sarah MARSH (1679) our direct ancestor married Michael MINTER, brother of Dorothy's husband Leonard (above). However Roderick Craig (in Alsace, France) advised 'Sarah Marsh, the wife of Michael Minter, seems to show that she was not the daughter of Lawrence Marsh of Folkestone. Apparently, she was the neice of Joseph Marsh, yeoman of Lyminge and daughter of a John Marsh. Laurence was probably the son of Robert and Dorothy Marsh of Folkestone - note that he named two of his children Robert and Dorothy. There is an entry in the IGI for a Stephen Marsh s/o Robert and Dorothy bap 8 Apr 1658. Also, another MARSH researcher advised he has an index of Folkestone baptisms which included, in addition to Stephen, a Leonard s/o Robert and Dorothy bap 1651, this is not in the IGI and could be a misread, possibly of Laurence?Therefore I need to check the original Folkestone parish register, as there may be even more children. In the Name of God Amen I Robert MARSH in the town of Folkestone in the County of Kent fisherman being in good health and of sound and disposing mind memory praise be given to Almighty God for the same make and declare this my last Will and Testament and in manner following (that is to say) First I give my soul into the hands of Almighty God my Heavenly Father hoping through the merits of Jesus Christ my blessed Saviour and Redeemer to have forgiveness of all my sins and to inherit everlasting life and my body to be decently interred at the discretion of my Executor hereafter named and as to such worldly estate wherewith in hath pleased God to bestow upon me I give devise and bequeath the same in manner and form following (that is to say) Inprimus I give and devise unto my loving wife Elizabeth all that messuages or tenaments and premises with appurtenances wherein I now dwell situate on the Back part of a certain street called Fishermans Row in the Town of Folkestone aforesaid and near unto the Stade there and also and equal moiety or half part of a capstane near the said messuages or tenaments which belongs to me and my brother Laurence MARSH and also all that other messuages or tenaments and premises with the appurtenances which I lately purchased of John CLERK situate at the lower end of the said street called Fishermans Row in aforesaid which said messuages or tenaments and premises I hold of the Lord of the Manor of Folkestone and have lately surrendered the same unto the hands of the said Lord of the said Manor to such use and uses intents and purposes as I should by my last Will and Testament in writing nominate direct or appoint to hold the said messuages or tenaments moiety of the said capstone and premises unto my said loving wife Elizabeth and her assigns for and during the term of her natural life in case she so long continues a widow she and they during that time keeping the same in good tenable repair and from and immediately after her decease or marrying again then I give and devise all that my messuages and tenaments and premises wherein I now dwell with the moiety of the said capstane unto my son Stephen MARSH his heirs and assigns forever and the said other messuages and tenaments and premises which I lately purchased from John CLERK unto my son Thomas MARSH his heirs and assigns forever Item I give and bequeath unto my said loving wife Elizabeth the use of all and singular my household goods nets ropes and fishing tackling parts and shares of boats mortgages bonds bills notes ready monies and all other personal estate whatsoever and wheresoever and of what nature or kind so ever except such sum or sums of money as my Executors hereinafter named shall have occasion for to pay and discharge all my just debts legacies funeral expenses and the probate of this my last Will and Testament for and during the time and term of her natural life in case she so long continues a widow and from and immediately after her decease or marrying again Then I give and bequeath all above said personal estate unto my said two sons Stephen and Thomas their Executors and Administrators for ever equally to be divided between them share and share alike Item I give and bequeath unto my daughter Elizabeth the sum of one hundred pounds of lawful money of Great Britain to be paid unto her within six months next after the decease or marrying again of my said wife Elizabeth her mother by my Executors hereinafter named Item I give and bequeath unto my daughter Alice the like sum of lawful money to be likewise paid to her within six months next after the decease or marrying again of my wife Elizabeth by my Executors hereinafter named Item I give and bequeath unto my sister Katherine MARSH my sister Ann the wife of William MARTIN my brother Laurence MARSH and my cousin John LADD or LADE of Folkestone aforesaid carpenter the sum of one guinea a piece of lawful money of Great Britain to be paid unto them by my Executors hereinafter named within one month next after my decease for to buy them rings Item all the rest and residue of my goods and chattels debts credits and estate whatsoever and wheresoever not herein before beqeathed after all my just debts legacies funeral expences and the probate of this my last Will and Testament shall be first paid and satisfied I give devise and bequeath unto my said sons Stephen and Thomas their Heirs Executors Administrators and Assigns for ever equally to be divided between them share and share alike and I hereby make and ordain and appoint my said sons Stephen and Thomas Executors of this my last Will and Testament and do hereby revoke and make void all former and other wills by me and declare this to be and contain my last Will and Testament In Witness whereof I the said Robert MARSH the Testator have to this my last Will and Testament contained in these two sheets of paper to the first sheet thereof set my hand and to this last sheet set my hand and seal the sixth day of September in the eleventh year of the Reign of our Sovereign Lord George the Second by the grace of God of Great Britain France and Ireland King Defender of the Faith and so forth and in the year of our Lord one thousand seven hundred and thirty seven Robert MARSH Signed Sealed Published and Declared by the said Robert MARSH the Testator to be and contain his last Will and Testament in the presence of us who in the said Testator's presence have subscribed our names as witnesses William POPE Richard WOOD Snr Richard SLODDEN. A Stephen Marsh s/o Thomas and Ann was baptized at Folkestone 14 Feb 1674, and another Stephen Marsh s/o Robert Marsh was baptized 8 Apr 1658. Messages: Extracted birth or christening record for locality listed in the record. The source records are usually arranged chronologically by the birth or christening date. Joane ALLARD was the daughter of John and Joane ALLARD (also known as ALLORDE). She had seven siblings, Sarah (1650), Elizabeth (1654), John (1656) who died young and was buried on 28 Jul 1661, Sarah (1663), John (1667), Ann (1668) who also died as an infant and was buried on 16 Dec 1668 and Thomas (1669). 4048. Nicholas GILBERT was born about 1600 in of Mullion, Cornwall, England.  My complete Rootsweb database can be seen at Amanda Taylor's Genealogy.